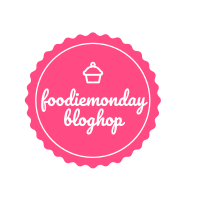 As you know I am dedicating one post to a foodie group named as Foodie Monday Blog Hop on each Monday 😊. The 143rd theme of the group is decided as 'Millet recipes'. Well, millet may not be the most common type of seed crop that we are expecting on our table, but in fact this group of variable small-seeded grasses is cultivated throughout the world for human consumption now-a-days. Millet can be used as porridge, snacks etc since it is very high in starch, like other grains. This is also a very good source of nutrients, vitamins, minerals and organic compounds that can significantly boost human health in various ways. Millet is totally gluten-free. In terms of basic food staples that are praised as the simplest and most valuable additions to diets around the world, the millet provides the most significant role in that category. There are a variety of millet : Finger millet, Kodo millet, Foxtail millet, Barnyard millet, Pearl millet etc. All these are easily available in market either in powder or in grain form. Among all, pearl millet or bajra is the most widely grown type of millet. And India is the largest producer of pearl millet where Rajasthan is the highest pear millet producing state in India. 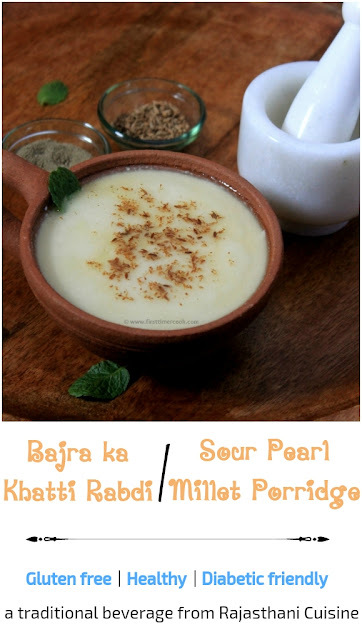 In the Rajasthan Cuisine, a sour rabri / rabdi or porridge is prepared using pear millet flour or bajra flour along with yogurt, named as Bajre ka khatti rabdi or Sour Pearl Millet Porridge. Basically the flour and yogurt mixture is cooked for some minutes over low heat. Only few ingredients are used, still the taste is so delicious. This is a traditional Rajasthani beverage which is usually served along with the meals. In a mixing bowl take curd, bajra flour, salt along with 2 cup water. Using a hand whisk, mix everything well till no lumps found. Now heat ghee in a pan. Add asafoetida and saute for 10-12 second. Next pour the curd-flour mixture and stir well. Cook over low heat for 10 minutes, stirring continuously. Soon, the liquid starts to thicken. Turn off heat and allow the mixture to cool down completely. Pour into serving glass or bowl, sprinkle some roasted cumin powder. Garnish with mint leaves and serve along with bajra roti or any meal ! Adjust the consistency of this rabdi / rabri as desire. We do make ambil with ragi flour and buttermilk in a similar manner and consume during summers...never new the same can be done with Bajra flour too..wonderful share Sasmita ! Wow!! This looks SO delicious ♥ I'm bookmarking it now! A healthy and filling porridge. 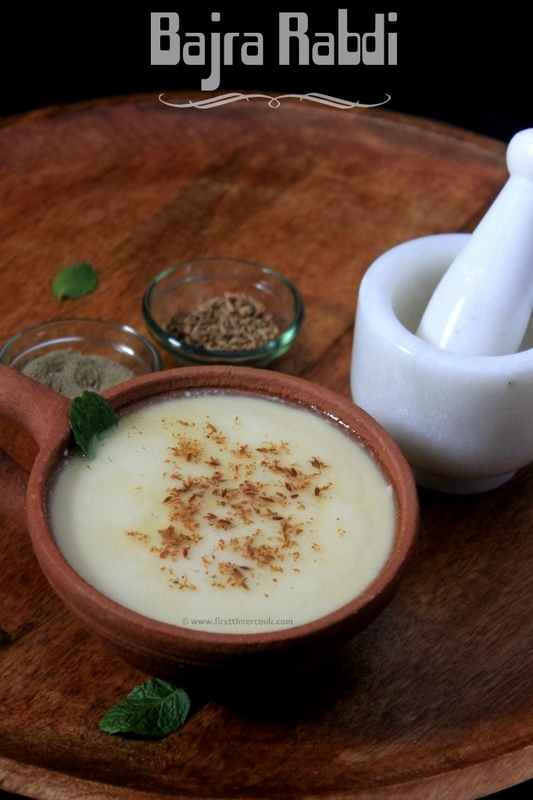 We sometimes make kadhi in the same way using bajra flour. Only difference is that more flour is added to the buttermilk. My father in law use to tell me that when he was growing up, the poor villagers in Gujarat could not afford besan so would use bajra flour instead to make kadhi. Never heard of bajra rabri. Sounds healthy and yummy. Something like kadhi. Loved it. 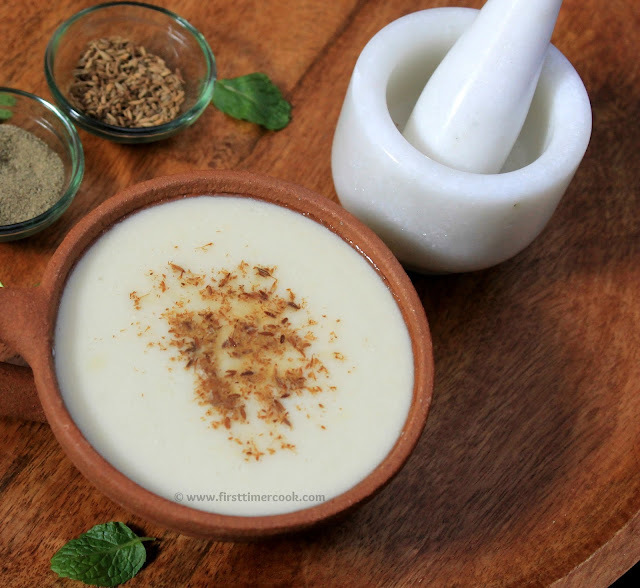 One very different recipe and great for health Sasmita!Awesome share! I have actually eaten this and liked it a lot! Yours look tasty and perfect! Loved this wonderful and healthy recipe. 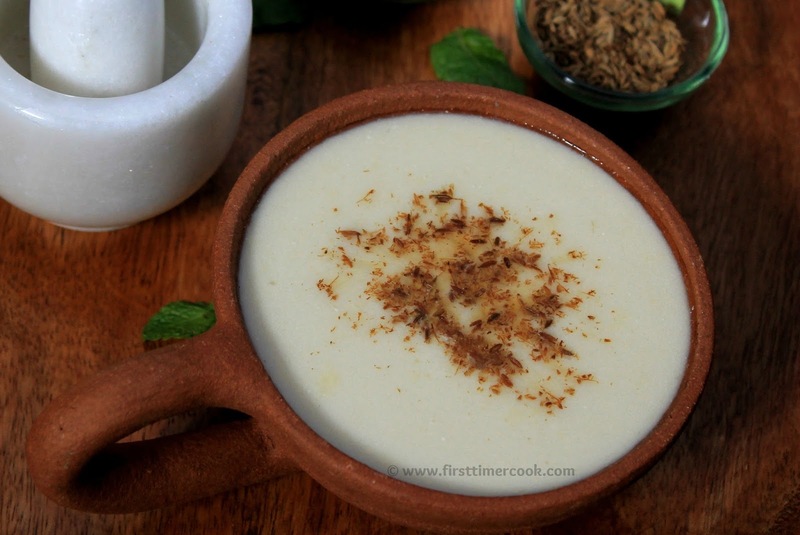 This is one healthy and cooling dish specially consumed during summers in the villages lovely share Sasmita.